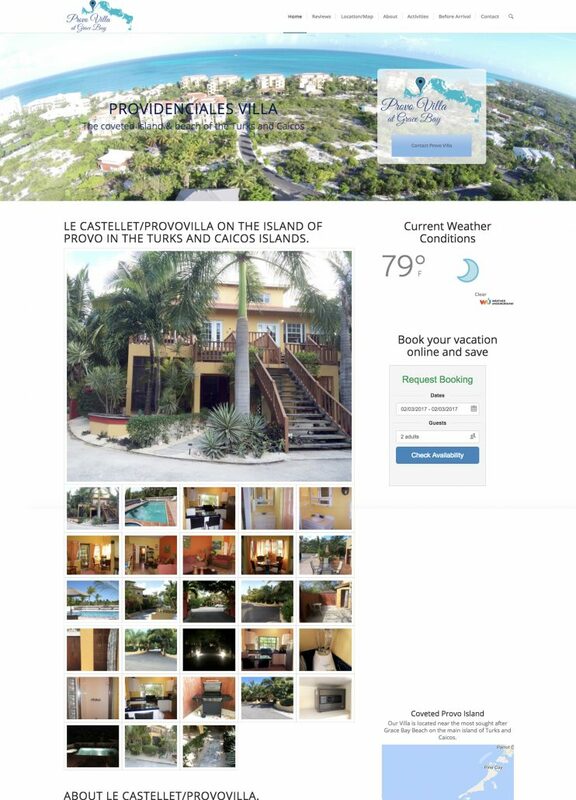 The owner of this “by owner” rental property in the congested rental area of Turks and Caicos Islands knew he had to do even more marketing to truly get this rental property out to the masses. This location was already listed on VRBO, HomeAway, TripAdvisor, FlipKey, and Airbnb. So why bother to have a website for this specific location? Because he was still ending up with weeks, if not months, of open time on his rental calendar. Stage one was a website that would showcase this great rental property that is only a short walk from the best beach in the world. Stage two was to add direct checkout with a custom-made plugin that uses VRBO’s checkout process. Stage three is to set up pay per click ads on Google that can be turned on and off to fill empty time slots. Rental prices on the island of Providenciales are extremely high. The owner is able to undercut the competition because the rental property is a short walk to the beach. The difficulty was in informing potential clients of the rental properties’ value. What we were able to do with this unique marketing strategy really draw in renters. The competition for this type of traffic is astronomical. We informed the owner of this website that we will never be able to beat the billion dollar industry sites that do this for a living, that we will never get him to the first of SERP results on Google at his price range, but we can come up with more economical solutions to promote his rental property by leveraging his website.